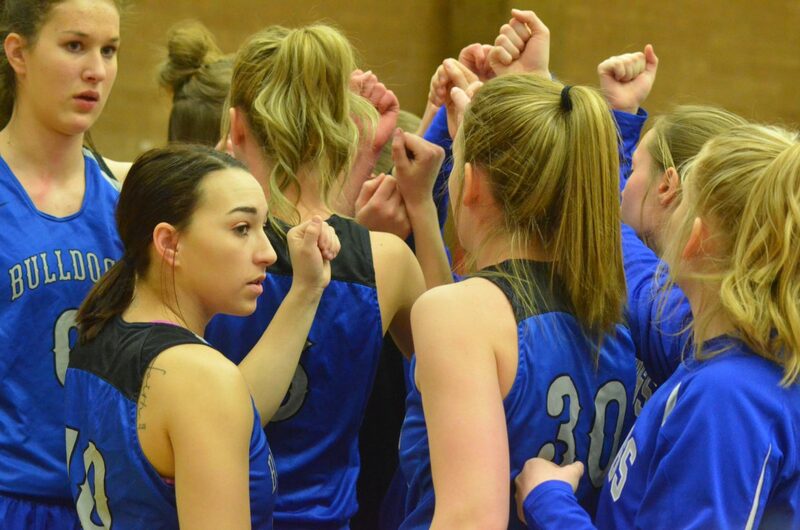 Moffat County High School basketball players huddle up before their game against Kent Denver. 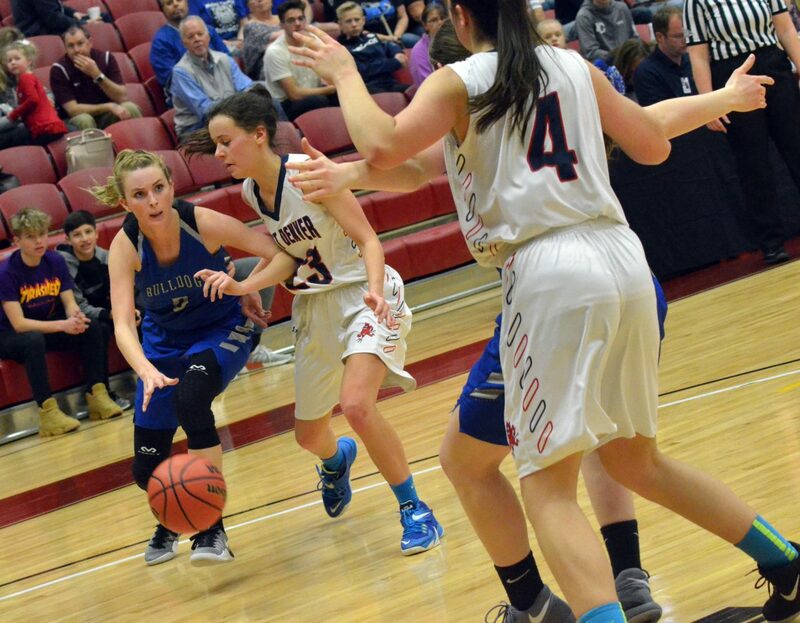 Moffat County High School's Madie Weber stays at the baseline against the Kent Denver defense. 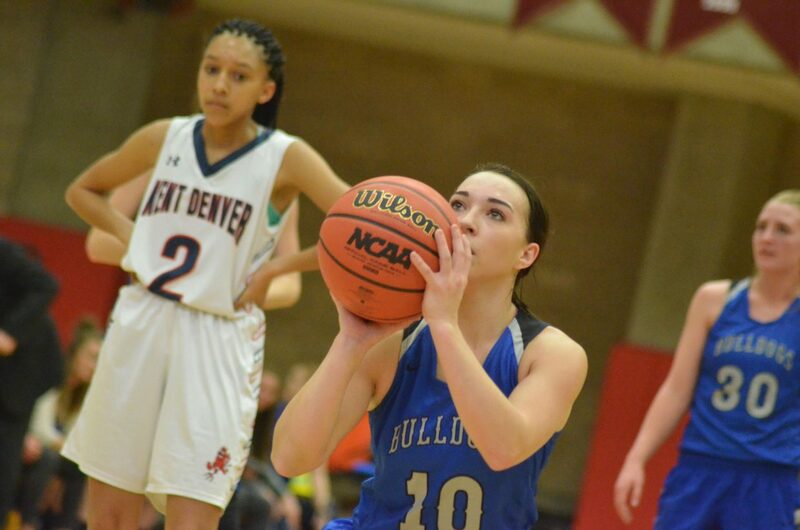 Moffat County High School's Brittnee Meats follows the ball with her eyes as an MCHS free throw lands. 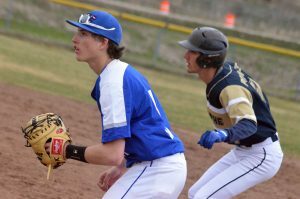 Moffat County High School's Quinn Pinnt stays focused on defense. 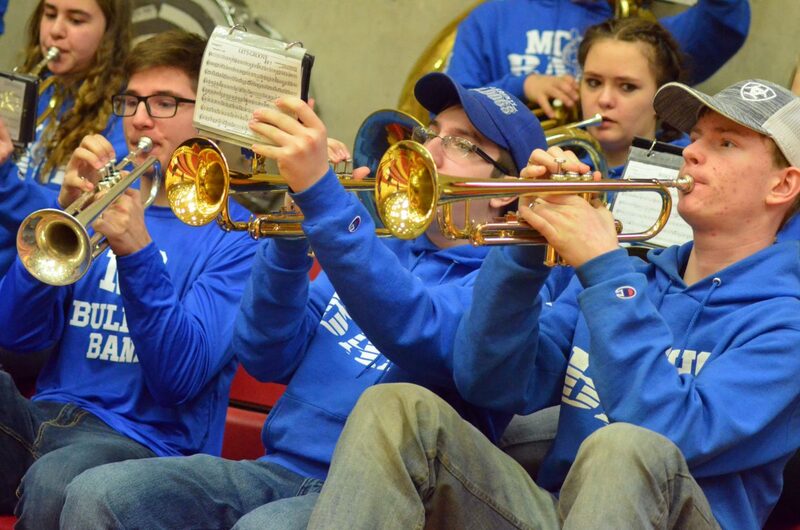 The brass section of the Moffat County High School band performs Mighty Mighty Bosstones' "The Impression That I Get" during a timeout. Moffat County High School's Madie Weber puts up a shot against the Kent Denver defense. Moffat County High School's Tiffany Hildebrandt whips around to put up a shot against Kent Denver. 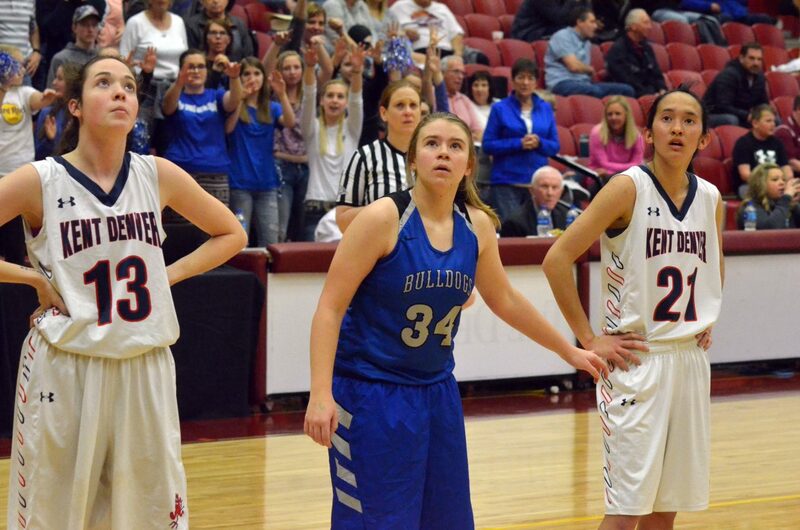 Moffat County High School's Kinlie Brennise nods to teammates as she readies to inbound against Kent Denver. 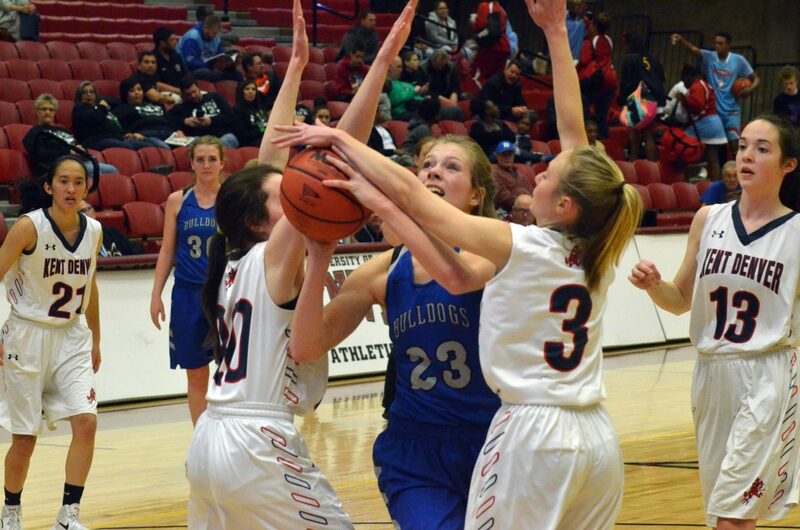 Moffat County High School's Brooke Gumber pulls down the rebound. Moffat County High School's Brooke Gumber aims her first of many foul shots against Kent Denver. Moffat County High School's Kinlie Brennise fires off a bounce pass to teammate Tiffany Hildebrandt. Moffat County High School's Brooke Gumber knocks loose the ball from Kent Denver's Sophia Reynolds. 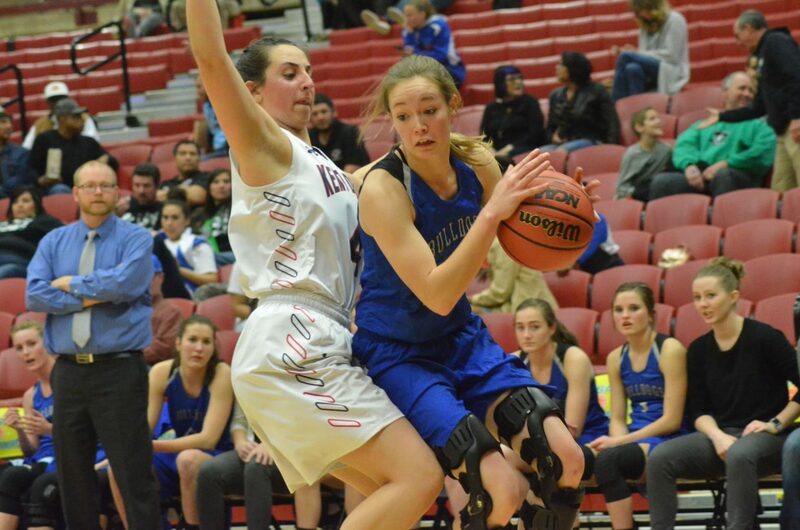 Moffat County High School's Kinlie Brennise looks to pass back to teammate Jaidyn Steele. Moffat County High School's Jaci McDiffett is fouled by Kent Denver as she attempts a shot. Moffat County High School's Jana Camilletti stays relaxed against Kent Denver. Moffat County High School's Jaidyn Steele lets loose a pass. 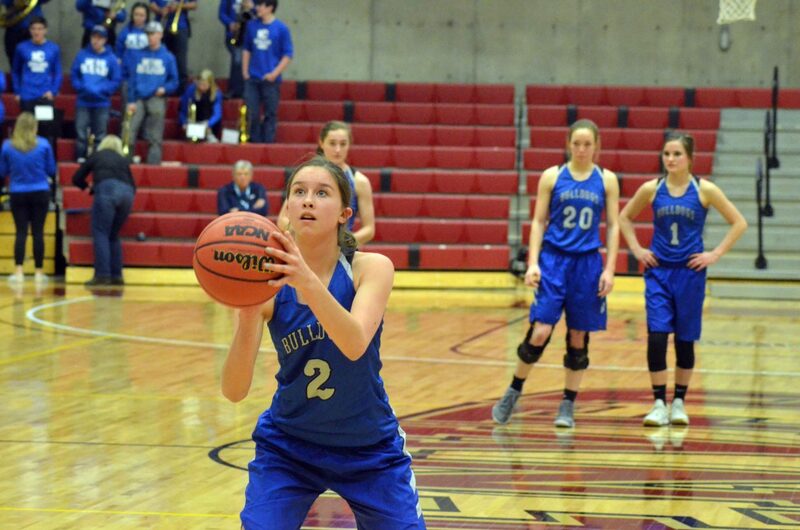 Moffat County High School's Emaleigh Papierski aims her final foul shot as teammates Josie Timmer, Madie Weber and Stephenie Swindler stay in the backcourt. 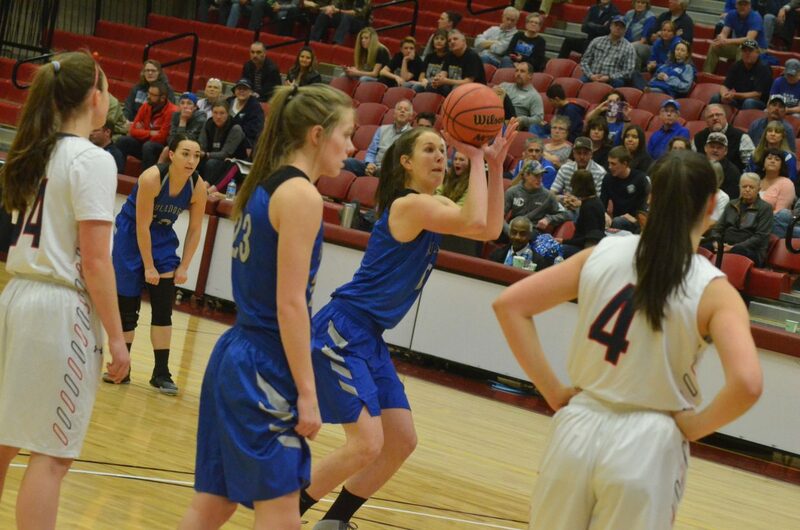 Moffat County High School's Jaci McDiffett follows through on a free throw. 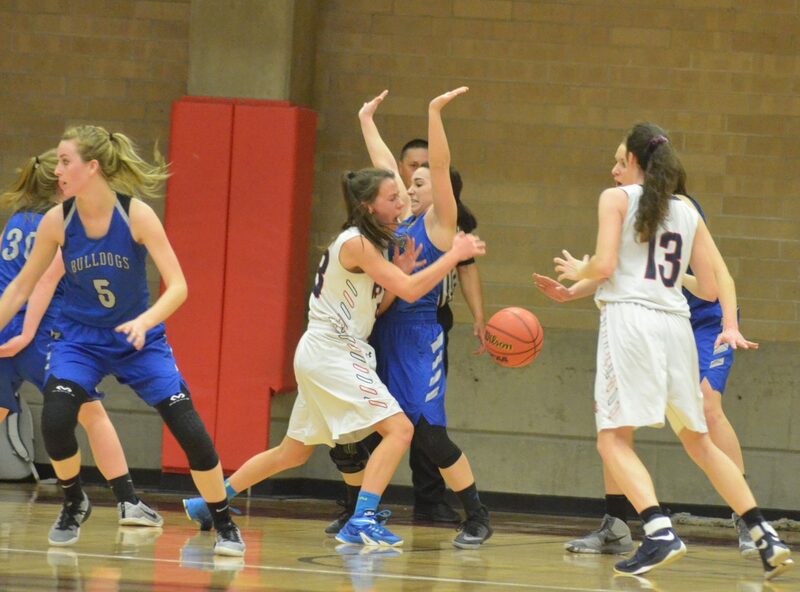 Moffat County High School's Emaleigh Papierski keeps a cool head against the Kent Denver defense. 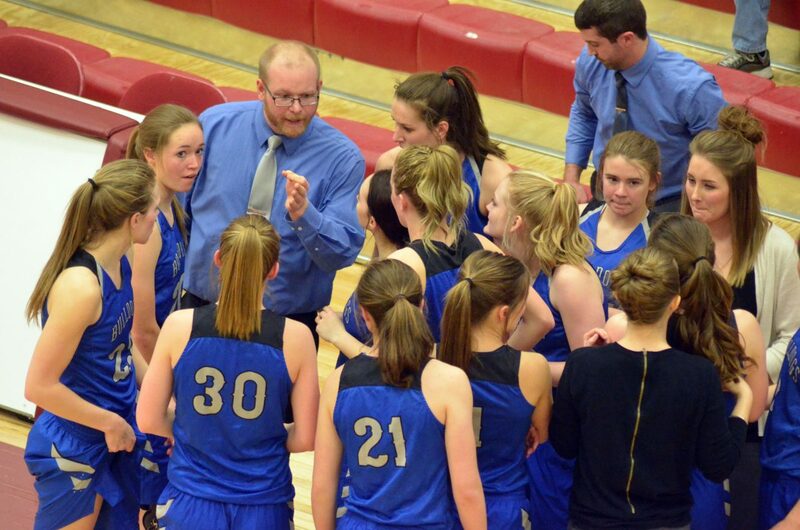 Moffat County High School girls basketball players heed the advice of coach Kenley Nebeker before heading back out for the second half against Kent Denver. Moffat County High School's Quinn Pinnt aims a free throw. 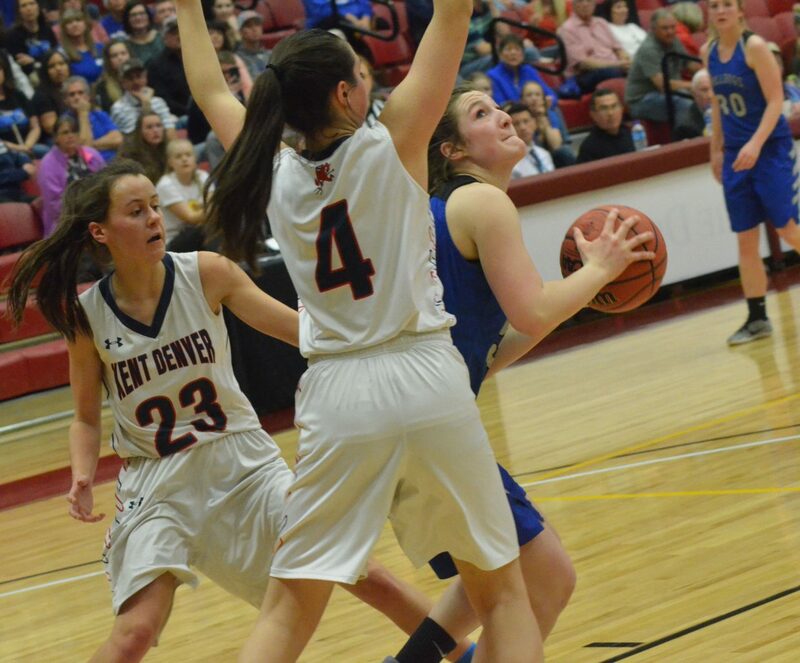 Moffat County High School's Jaidyn Steele and Jaci McDiffett look to slow down the Kent Denver offense. 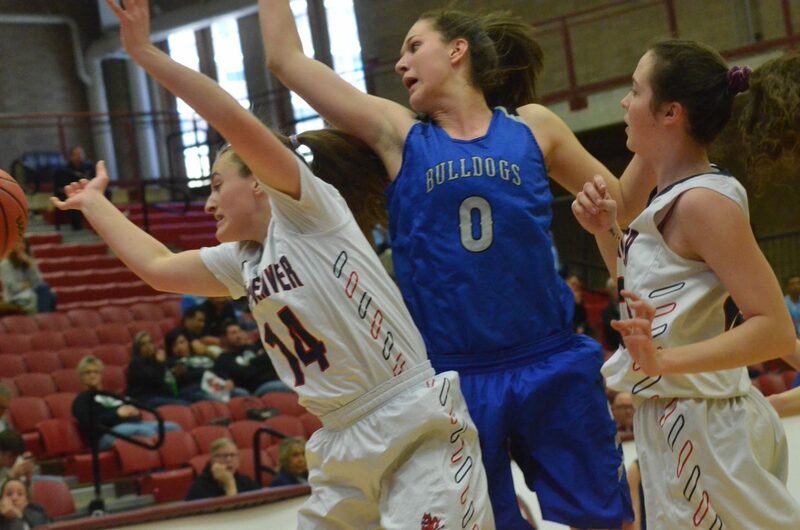 Moffat County High School's Jana Camilletti elbows into the paint for points against Kent Denver. 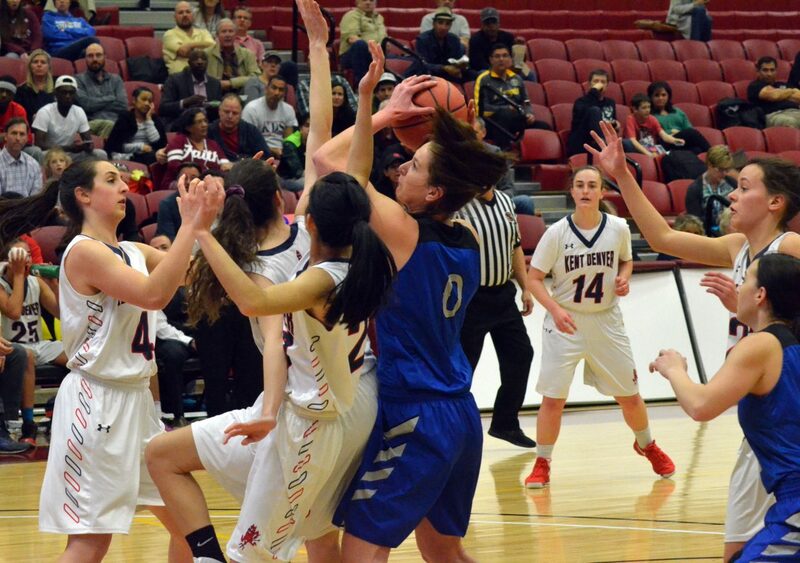 MCHS girls beat the Sun Devils 44-32 Thursday in the CHSAA Great 8 round at state to advance to the Final Four Friday. 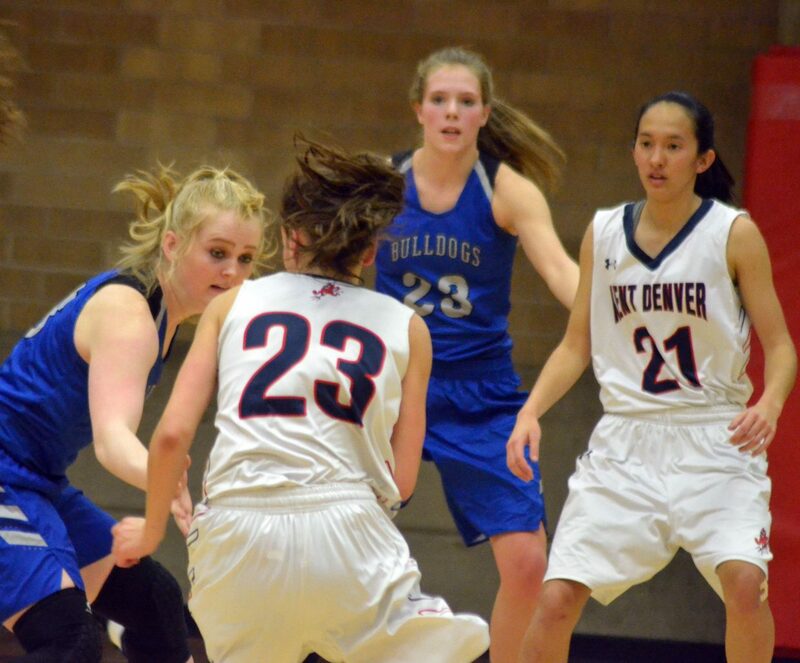 Moffat County High School's Quinn Pinnt puts up a wall against Kent Denver's Julia Doyle. 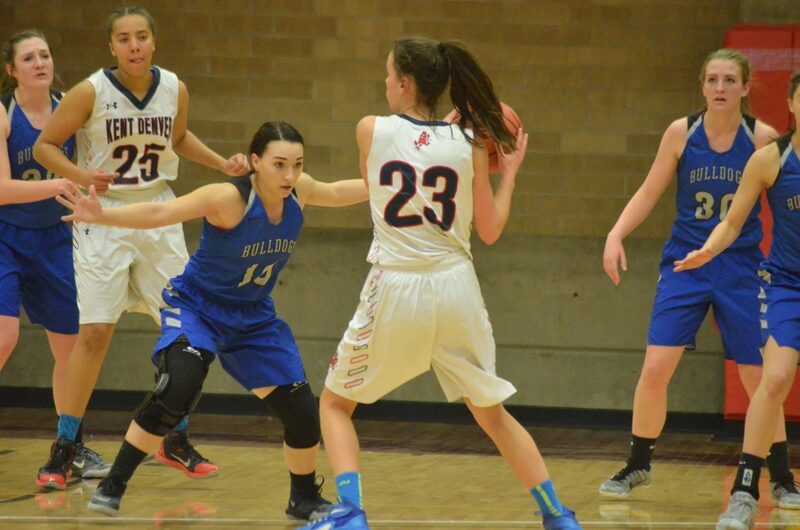 Moffat County High School's Jana Camilletti looks to get around a Kent Denver opponent. 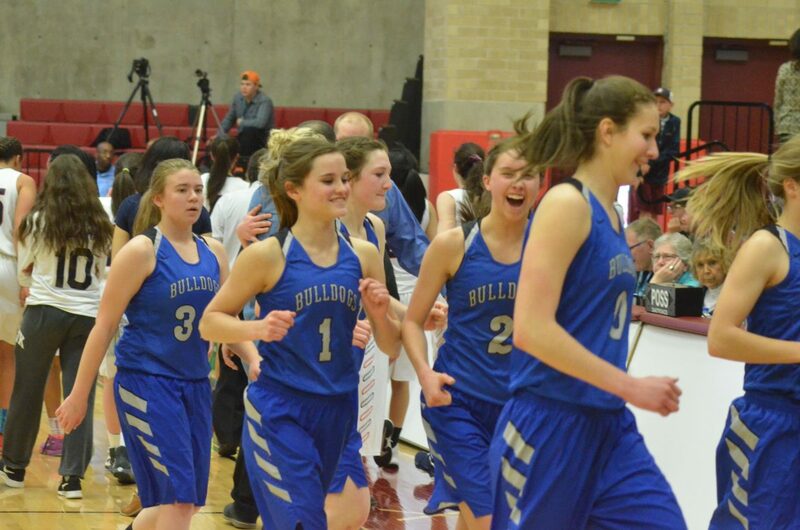 The Moffat County High School girls basketball team heads off the court with gusto after a 44-32 win over Kent Denver. 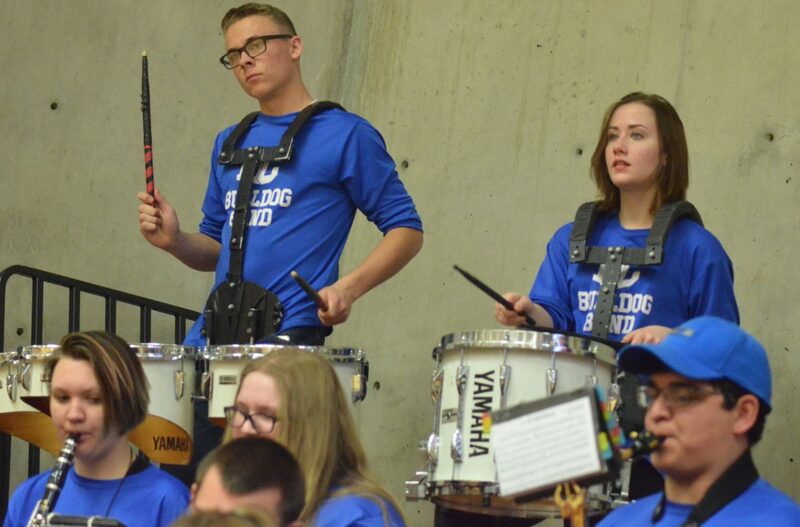 The percussion section of the Moffat County High School band stay lively during a timeout. 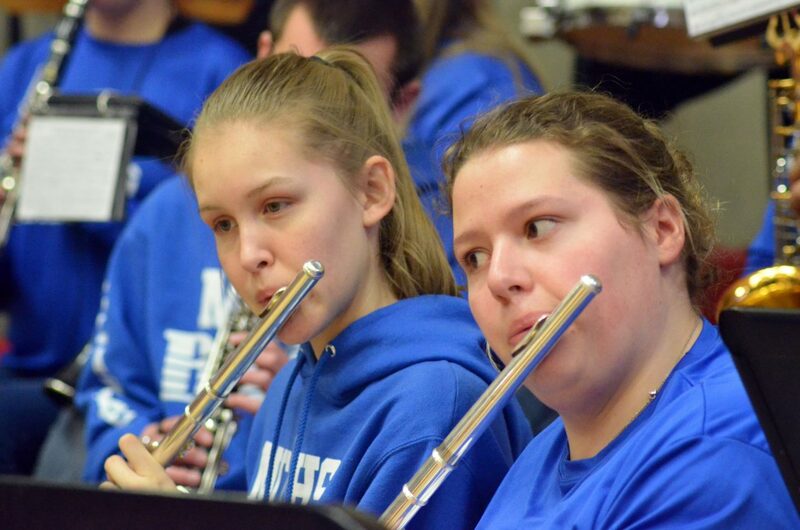 Flautists with the Moffat County High School band keep the Bulldog crowd entertained during a timeout. 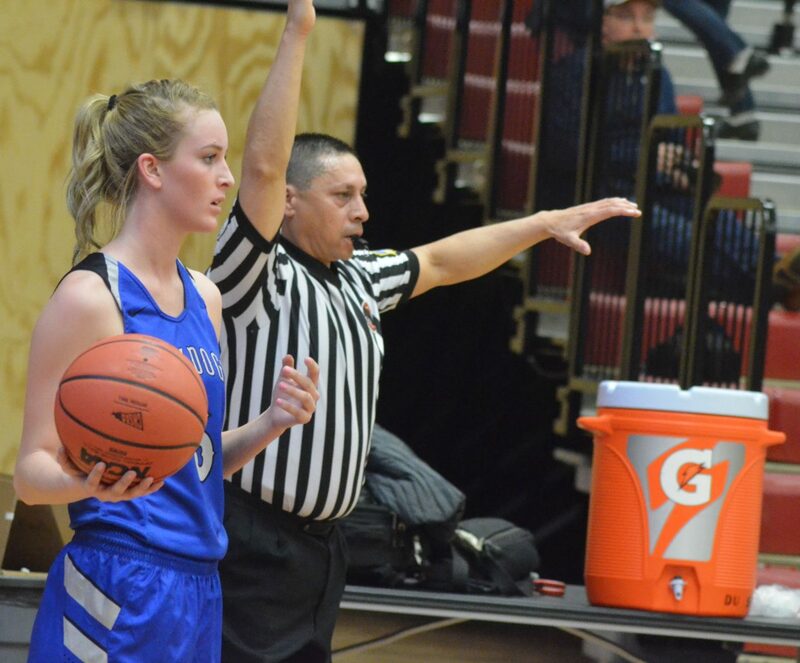 DENVER — Moffat County High School basketball’s opposition may as well have been at Kmart Thursday afternoon, because the Lady Bulldogs were offering a very different kind of blue light special. MCHS put every other school in the brackets on alert when the No. 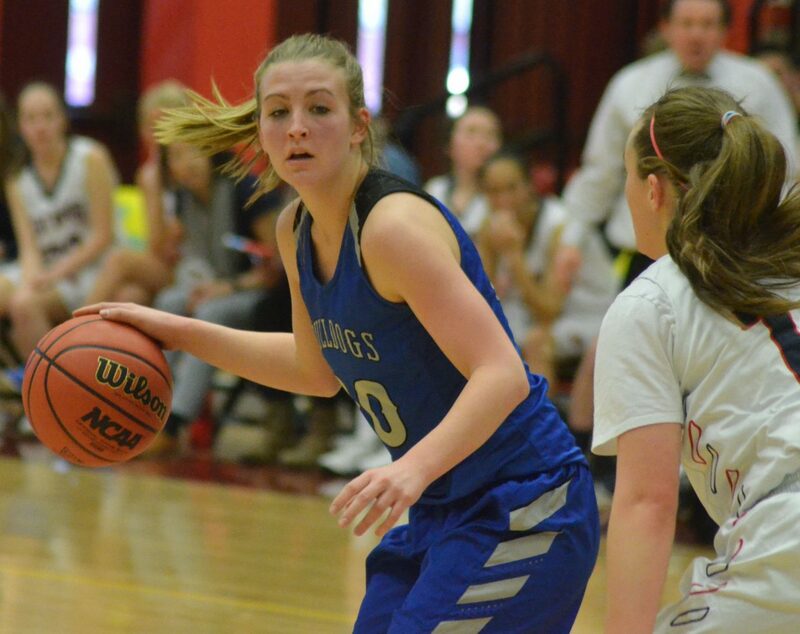 8-seeded hoopsters had a divine round in the CHSAA Great 8 against the top-ranked 3A team, Kent Denver, beating the Sun Devils 44-32 to secure a spot in Friday’s Final 4. 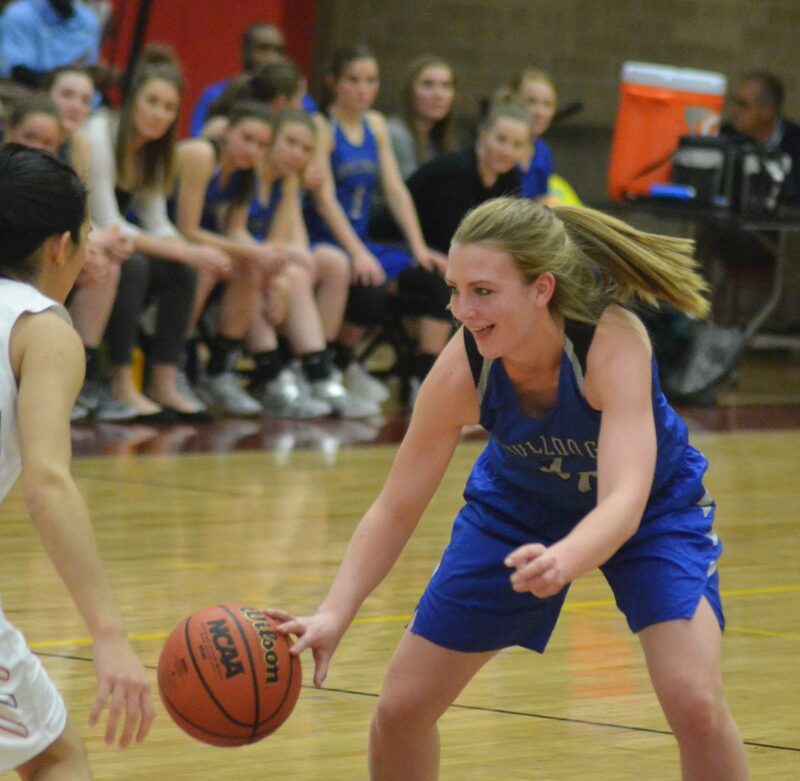 If they were the underdogs going in, MCHS certainly didn’t appear that way on the floor of University of Denver’s Hamilton Gym, leading the entire game, starting with steals by Quinn Pinnt and Jana Camilletti and free throws by Brooke Gumber and Jaci McDiffett. A bucket by Sophia Reynolds got Kent on the board at 3-2, but it was the last points they’d have in both the first quarter and first half altogether. 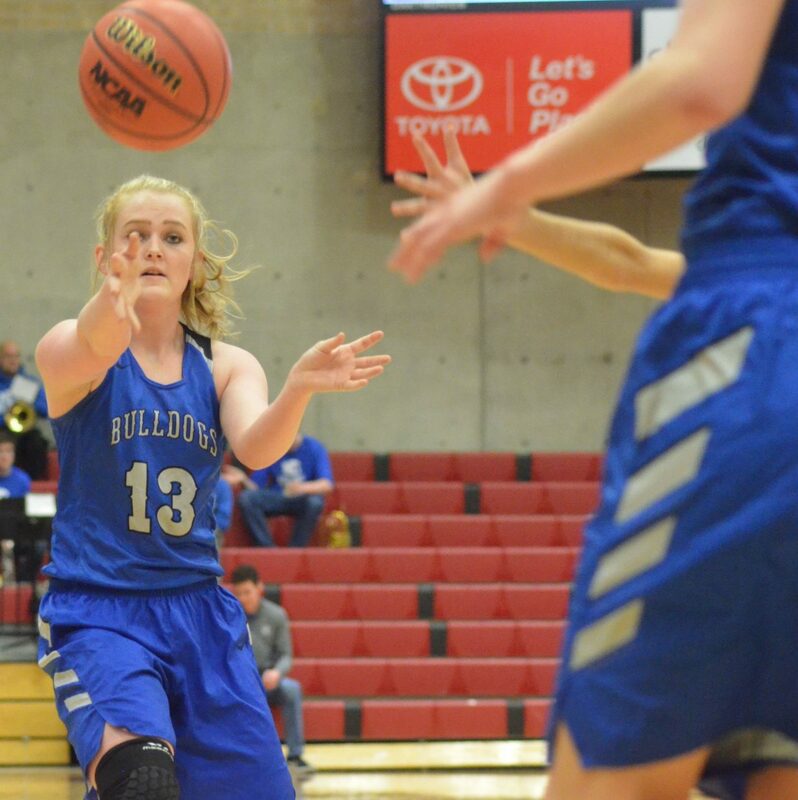 A 24-point run by the Lady Bulldogs lasted into the third period as Moffat County kept the Sun Devils cold in their shooting and kept plugging away at their own basket. 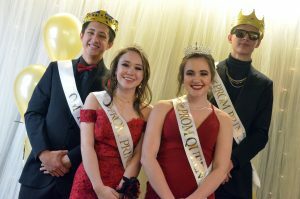 The MCHS band, bussed in by Tony St. John, bolstered the blue and white spirits with renditions of The Mighty Mighty Bosstones’ “The Impression That I Get” — appropriate since Moffat County never had to knock on wood — and Kool & the Gang’s “Celebration,” also fitting for obvious reasons. 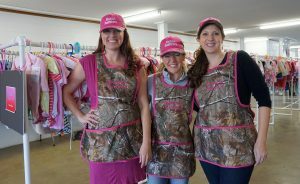 “It’s so great to be able to come down here for this,” said band leader Olivia Neece. 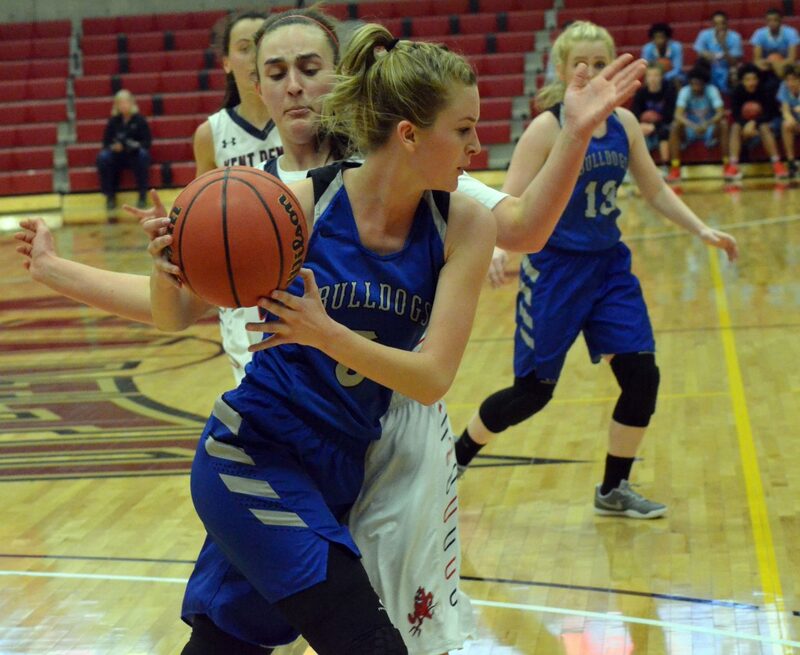 Despite being on the wrong side of a 25-2 first half, Kent cracked the code to the Bulldog defense in the second, trailing only 34-15 at the end of the third quarter, but their comeback efforts couldn’t contend with Moffat County’s willingness to fight to the finish. “We came in really, really strong, didn’t quite have enough energy in the third, but we really picked it up after that,” Pinnt said. 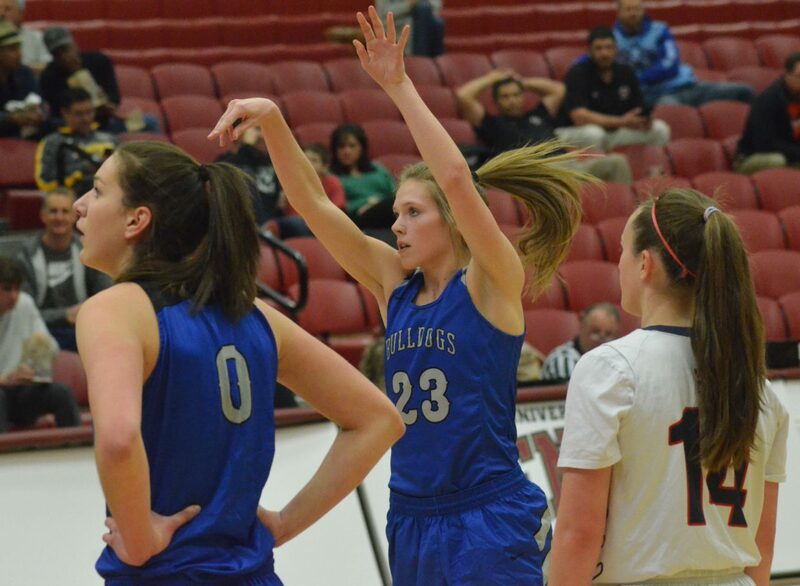 Lady Dogs’ tenacity getting to the hoop was matched by the Sun Devils’ need to slow them down, which amounted to Moffat County girls repeatedly going to the foul line, gaining eight of their 10 fourth quarter points off free throws. Emaleigh Papierski hit the final FT of the day, with MCHS fans chanting, “She’s a freshman!” to taunt Kent players, who were too far behind to worry about lowerclassmen status. Likewise, Papierski was “too in the zone” to hear the commentary. 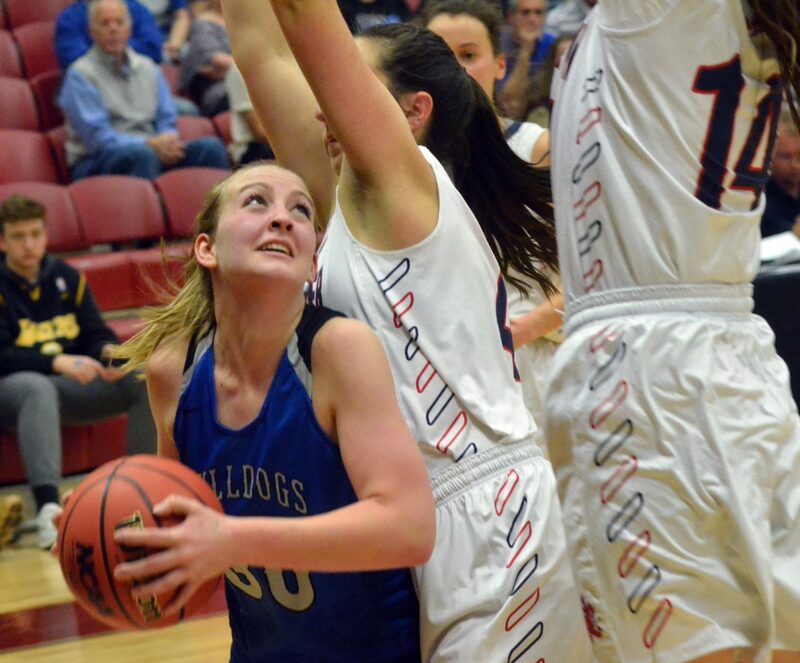 Gumber led the Bulldogs in scoring with 12 points, Tiffany Hildebrandt had 10, as did Camilletti, including one three-pointer, with Jaidyn Steele also hitting one from outside. McDiffett scored four, Madie Weber three, and Pinnt and Papierski each had one free throw. 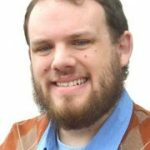 Coach Kenley Nebeker said the performance was an example of players playing to their high postseason potential after being halted in the Sweet 16 last season. 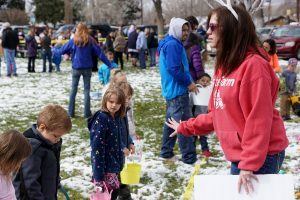 The difference was between being “Western Slope great” and “Colorado great,” giving the extra effort needed against the best the state has to offer. 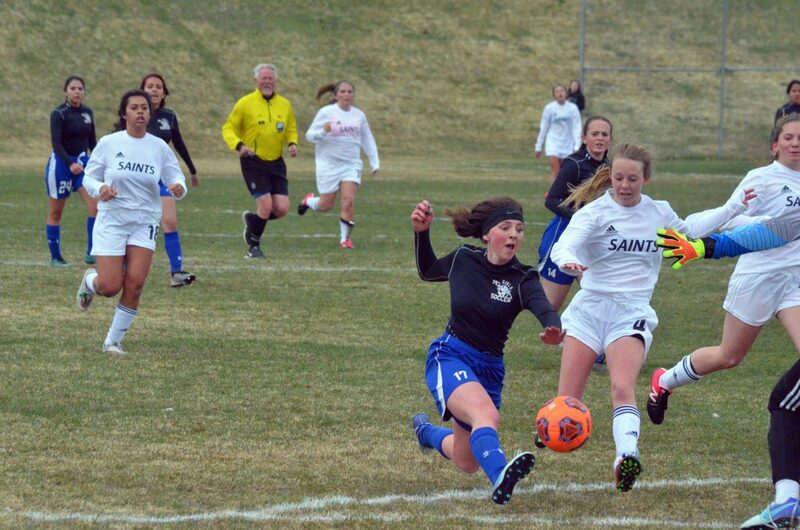 “The girls have worked their tails off all season to be Colorado great,” he said. 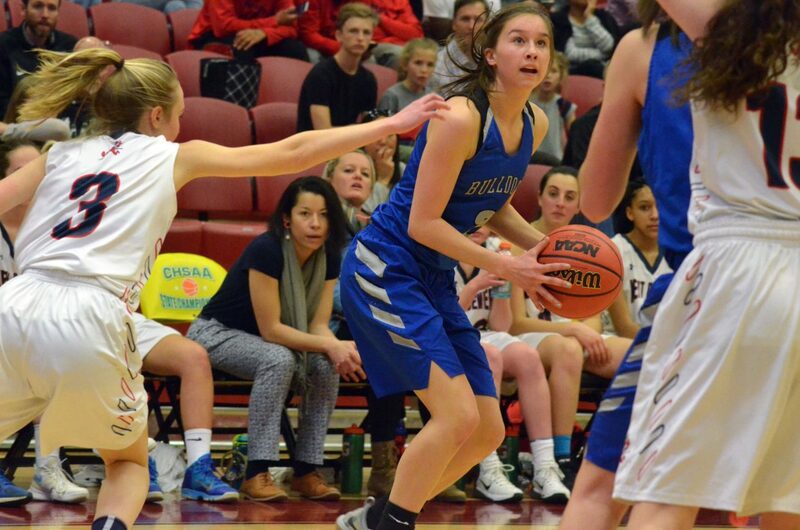 MCHS, 20-5, will face 22-3 Colorado Springs Christian, ranked fourth, after the Lions defeated Centauri 52-37. 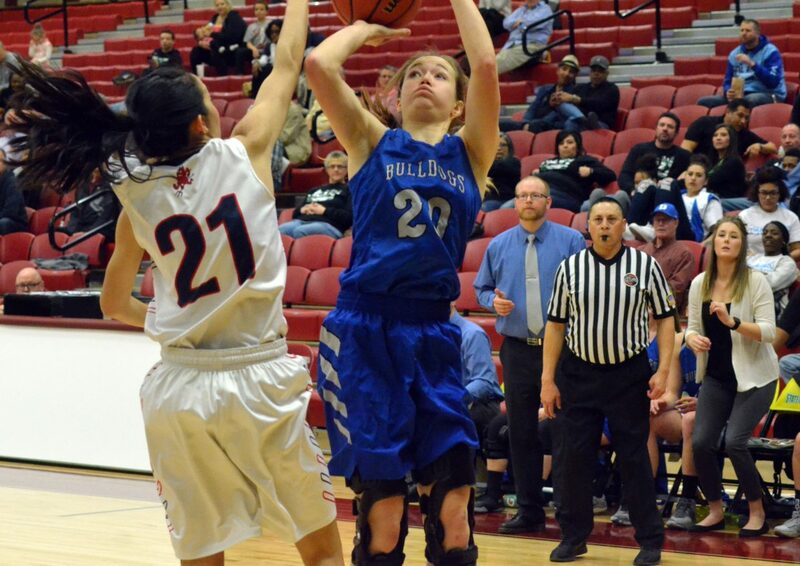 The game at 4 p.m. Friday will be the first time anyone on the current Moffat County roster has been to the Final 4. The last time the MCHS girls team made it to the state semifinals was 2006.